I’ve read a lot of fairy themed books and while they had a similar theme, they each brought something different to the table. 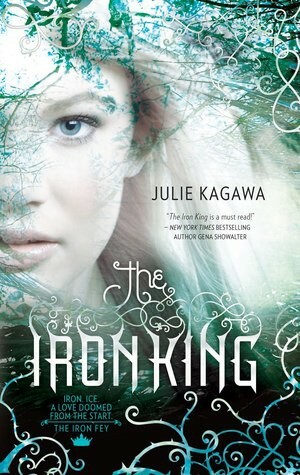 With the Iron King, author Julie Kagawa brought a fresh new flavor to the fairy theme with her rich, new adventurous world. From the beginning I was sucked into Megan’s journey to find her brother which during that process she ultimately found herself and who she was meant to be. 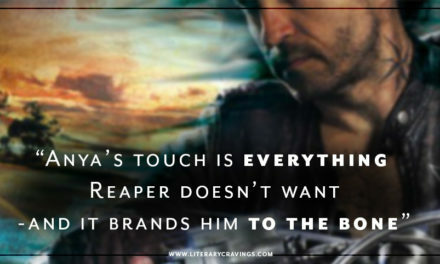 Kagawa didn’t waste any time bringing me into the thick of things with the complicated enticing plot and all the interesting characters Megan meets on her journey. I really enjoyed how there was an innocence and danger through out the story, giving it a perfect balance and having me clueless as to what was going to happen next. I enjoyed the sprinkle of romance and the beginnings of a love triangle Ms. Kagawa set up between Megan, the best friend Puck and the elusive Ash. I can’t wait to see it develop in the future books. What captured my attention the most what the amazing characterization, we got to see inside Megan and all the characters in the story. To me there were no secondary characters in this book; all the characters played an important part to the plot which added to the crazy, amazing and dangerous world of Faery. I would recommend reading this book with open eyes and no preconceived notions of what a fairy book is because Julie Kagawa has delightfully brought a whole new look to Faery. I'm so glad you enjoyed this book, because I felt the same way! Great reaview-defiantly going to have to read it again.